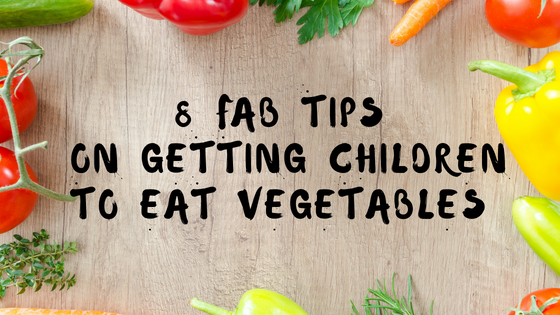 Children will very quickly pick up if you are being hypocritical about eating vegetables. If you eat your vegetables and notice that you seem to enjoy them, they will be more likely to follow suit and eat theirs. A biscuit cutter can do wonders in transforming sliced fruit and vegetables into fun shapes your children won’t be able to ignore. You can go further by using your and your child’s imagination to play games to encourage them to eat. Is there pirate treasure hidden in that island of mashed potato? Many parents smuggle vegetables into dishes they know their children love, such as grated carrots in mince. There are countless ways you can smuggle vegetables in your own cooking. Have a look at our previous article on smuggling vegetables. Ask your children what they would like to eat for dinner and then get them to help you prepare it. There are numerous small tasks a child can help with. They will be proud of helping you and more inclined to eat what they helped prepare. Not only that, but you will also be able to start teaching them invaluable life skills that will help them prepare healthy food as adults. The concept of health means nothing to a small child, but growing big and strong is what the majority of small children aspire too (especially boys in my experience). Instead of telling your children that the plate of Brussels sprouts is healthy, rather tell them that it will help them grow big and strong (like their favourite superhero character). It takes eight to ten tastes for a child’s palate to warm up to a new taste and/or texture. If your child refuses to eat something new, try to encourage them to at least taste it. They might decide they like the new vegetable after all. If not, a few more tastes through a few more meals might convince them. Most children love dipping their food in sauces. This is a good way to start them off eating vegetables and as they become accustomed to the flavours, you can reduce the sauces and dips. I prefer my vegetables with butter and salt – why shouldn’t children be the same? Hummus and yoghurt are both healthy sauce and dip options. Do you have any desire to eat broccoli if you are not hungry? Of course not, and neither do children. Therefore, if your child tells you he is hungry, serve him vegetables and remember to not make a fuss. You might be surprised and find that plate empty. Somewhere on the internet (it was a while ago and I don’t know where), I read about a mom who used reverse psychology to encourage her children to eat their vegetables. She pretended that fruit and vegetables were treats that they couldn’t have whenever they wanted. She left chocolate and sweets lying around the house and easily accessible to her children. As a result, her children always wanted fruit and vegetables and hardly ever touched the sweets. Might not work for all children, but quite a hilarious anecdote. We asked a panel of moms on how they encouraged their children to eat vegetables. We had such excellent feedback that we decided to make a Part Two of this post. Don’t forget to come back next week to hear what the moms have to say. If you want to be notified of new posts, click here to sign up for our newsletter. We promise not to share your details with anyone.